Researchers at the University of Cambridge have discovered a method to “reset” human embryonic stem cells to an earlier developmental stage, producing a type of stem cell up to now only seen in rodents. The main characteristic of embryonic stem cells is called pluripotency, meaning the ability to generate every cell type of our body. The scientists successfully converted currently available human pluripotent cells to a more pristine state, named naive pluripotency. Similar findings have also been reported by a group in Boston. Easier to grow and providing a “blank slate” from which to make other cells, these new human stem cells could be valuable material for cell therapy of the future. What is the idea behind this study? Since their first derivation from donated human embryos, human embryonic stem cells showed clear differences compared to their mouse counterparts: they don’t depend on some of the fundamental genes for the control of pluripotency that mouse cells use and they do not respond to the same culture conditions. Given the hope that preclinical studies carried out in rodents might be reproducible in human cells, this posed a problem. Moreover, human stem cells vary greatly in their efficiency to generate specialised cells, which is a limitation for the standardisation of their clinical application in cellular replacement. It is thought that one reason for this may be that their DNA contains some chemical modifications, called methylations, which are like “footprints” left by development, for example when some genes are switched off. Previous work showed that if mouse embryonic stem cells were derived later in development (at the post-implantation phase) they behaved exactly like human stem cells. This suggested that rather than being a mouse-human intrinsic difference, there could be a shift in developmental timing reflected in two types of pluripotent cells, naive and primed. Indeed, primed mouse cells could return back to their original state if two key genes for naive cells, Nanog and Klf2, were synthetically introduced. With this in mind, scientists at the Wellcome Trust/MRC Cambridge Stem Cell Institute tested a new way of capturing these much sought after stem cells. What did this study show? To make human naive stem cells, the researchers introduced the pair of genes, NANOG/KLF2 that in previous work converted mouse primed stem cells into naive stem cells. With the addition of these genes, the cells changed their behaviour and morphology, and for the first time could be grown in the conditions used with mouse pluripotent cells. However, to make human naive stem cells as stable as the mouse ones, the method needed tweaking. To achieve this they added an extra chemical (which inhibits the protein kinase C) and a reduced concentration of the basic naive stem cell factors “cocktail”. 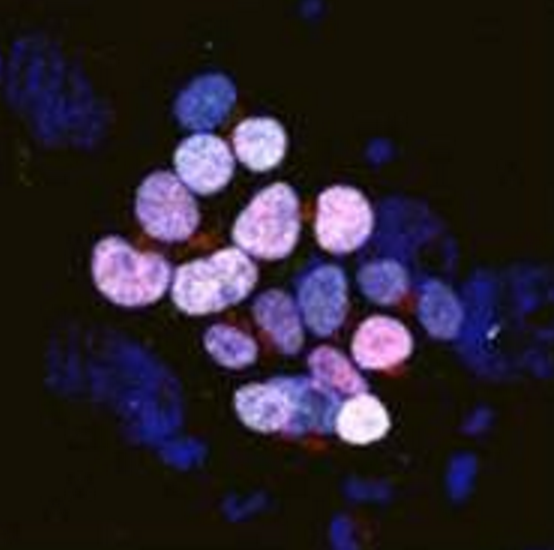 To confirm they have produced true naive stem cells, the researchers looked at many aspects of their identity. The cells expressed genes and proteins typical of naive stem cells and had changed their metabolism, for example, starting to increase oxygen consumption. 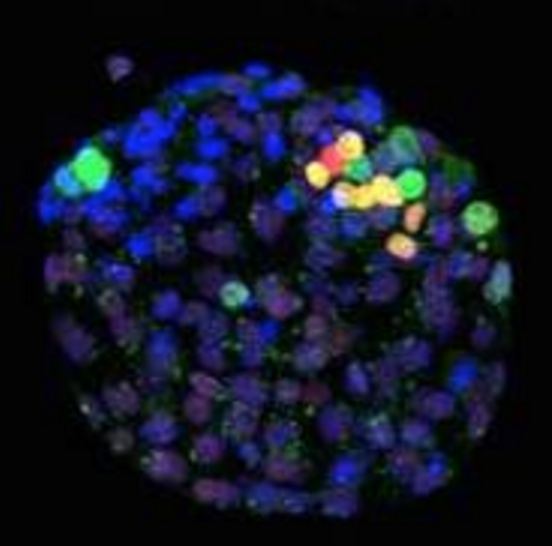 They showed features that have never been seen in human pluripotent stem cells before. Importantly, this new human naive cells showed minimal signs of genetic “memory” in the form of methylations of the DNA, as if their genome had been “cleaned” from tip to toe. This research demonstrated for the first time a method to generate true naive pluripotent cells from human, and their similarity to cells in the natural embryo. What does it mean for patients? Pluripotent stem cells are currently centre stage of research in regenerative medicine due to their potential to generate any cell type. Patients affected by diseases like Parkinson’s or Diabetes, for example, could benefit from new stem cell-based therapies that rely on transplantation of large numbers of healthy neurons or insulin-producing cells respectively. However, many challenges still block the way of pluripotent stem cells to the clinic. Researchers think that these new human naive cells might have some advantage compared with previous human pluripotent cells in their capacity to generate cells, particularly due to their “pristine” genome. Future study of these cells could lead to more effective and standardised protocols required for clinical applications. This summary was written by Loriana Vitillo, edited by Jan Barfoot and reviewed by Austin Smith. The full reference for the paper described in this summary, entitled Resetting transcription factor control circuitry towards ground state pluripotency in human, by Takashima et al, is published in Cell. A journal subscription may be required.